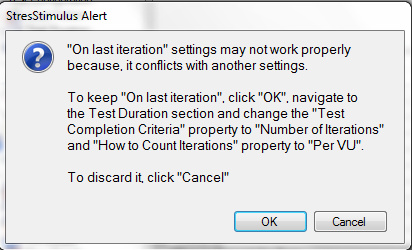 Since I already had Test Completion Critera set to Number of Iterations, I thought maybe it was appearing by mistakes. 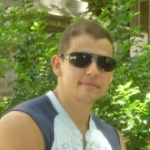 However, when I ran my test, the page was requested every iteration. This was pretty frustrating, and after some more poking around, I found that the actual issue was that I had "How to count iterations" set to "Total" rather than "Per VU". It makes some sense that you can't have it set to "Total" (how would it know which iteration is the last for each VU? ), but the error message didn't help me figure that out, and just made me think there was a bug with the feature. 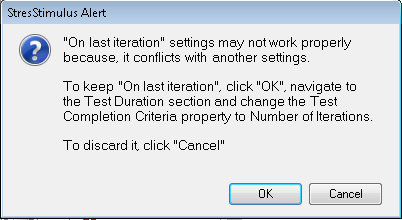 If possible, please make the error message match each issue, or at least add the additional information to the dialog. This was complete in v.3.0.4953. See the screenshot below. Thanks for updating it so quickly!